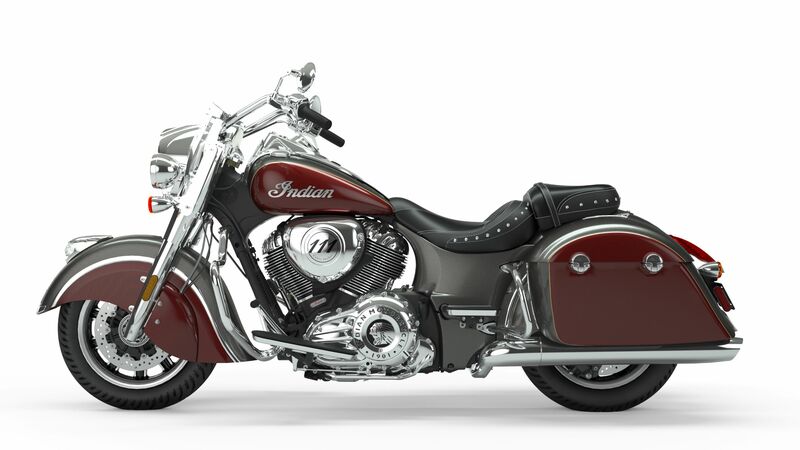 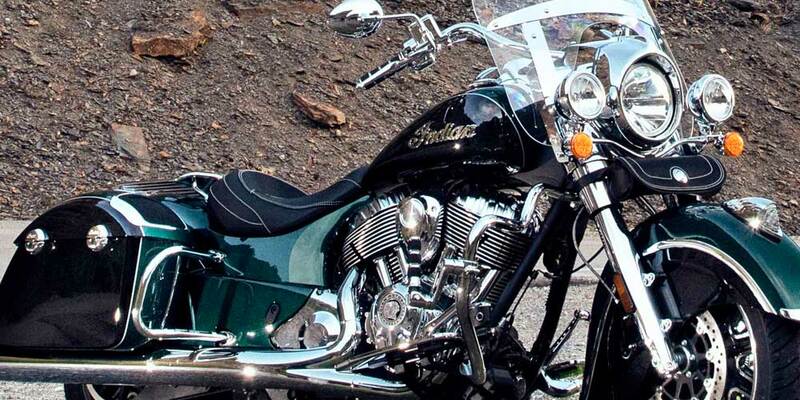 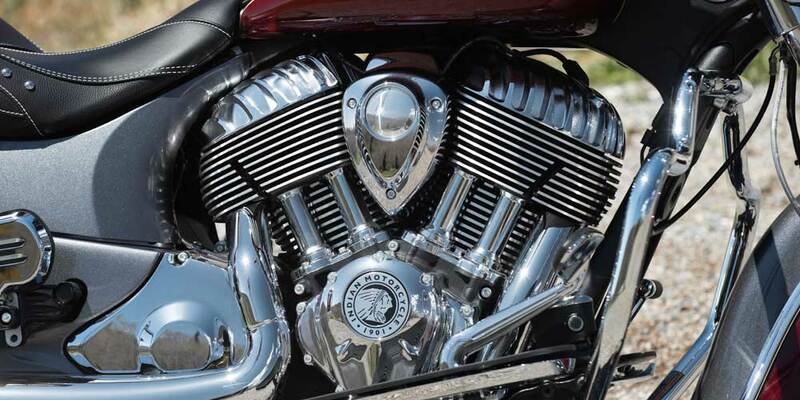 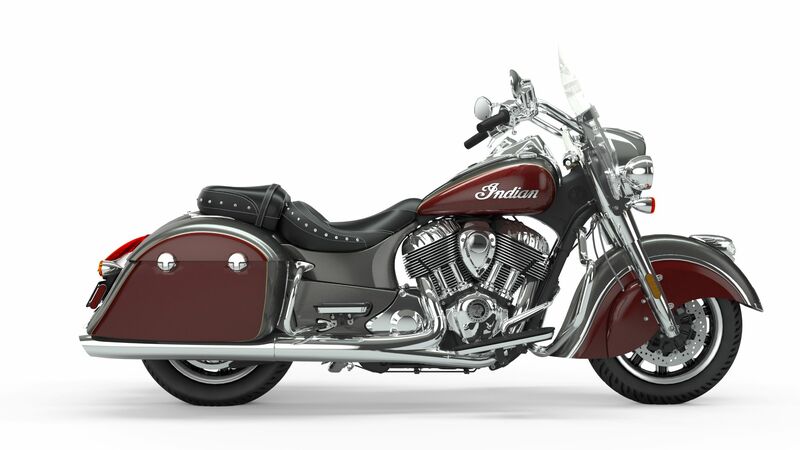 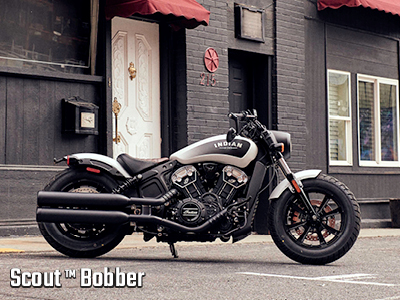 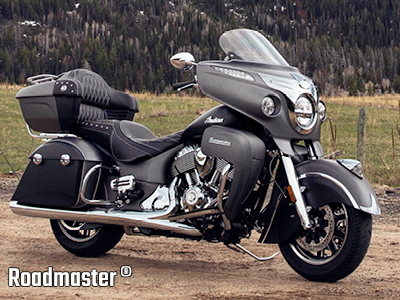 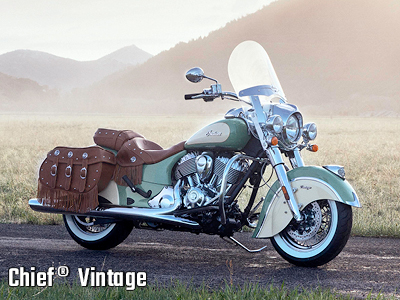 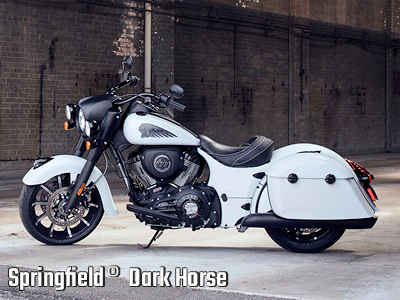 Pure and classic styling define the Indian Springfield®. 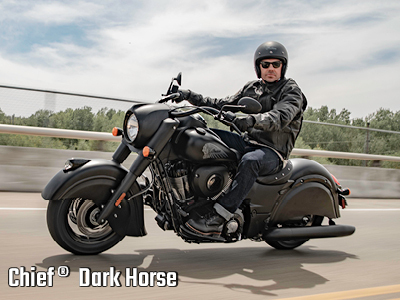 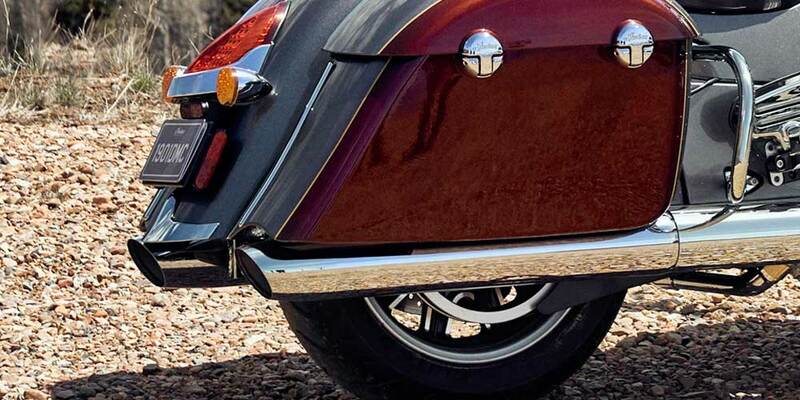 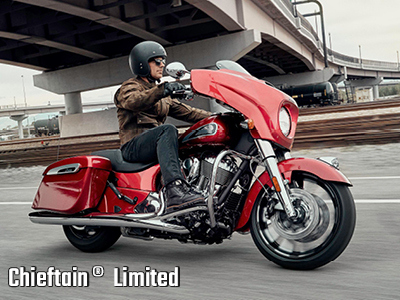 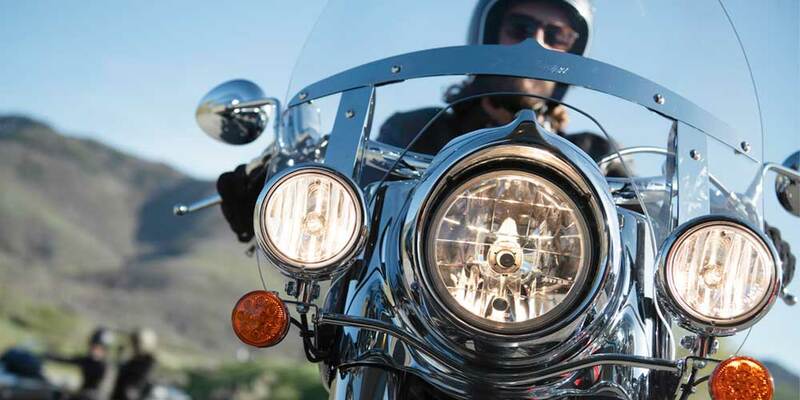 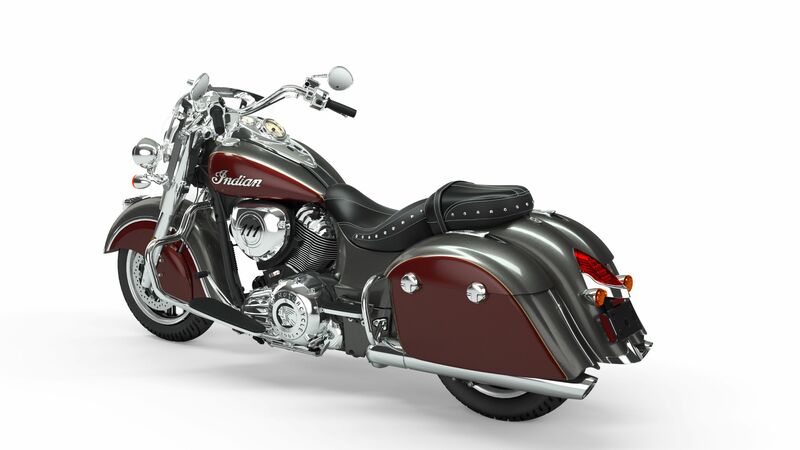 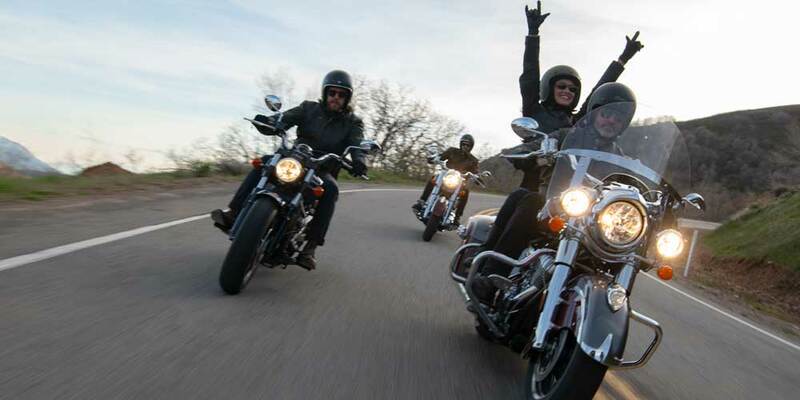 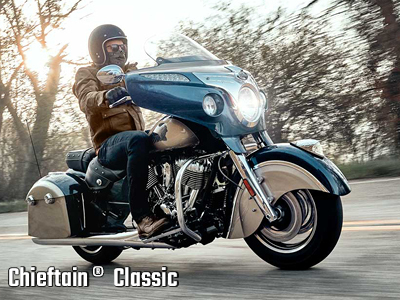 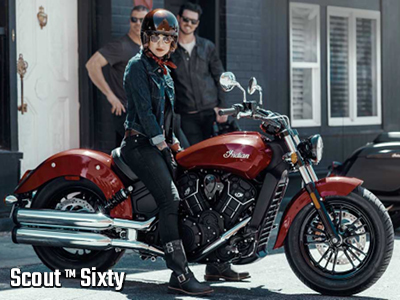 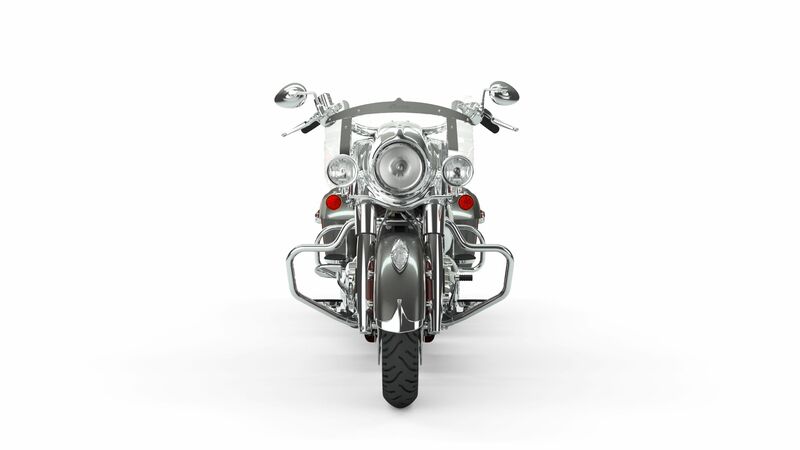 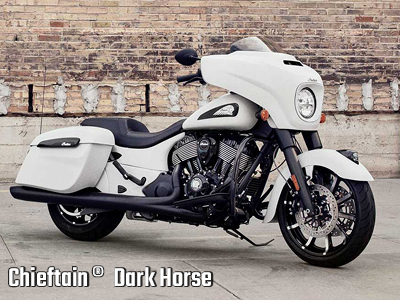 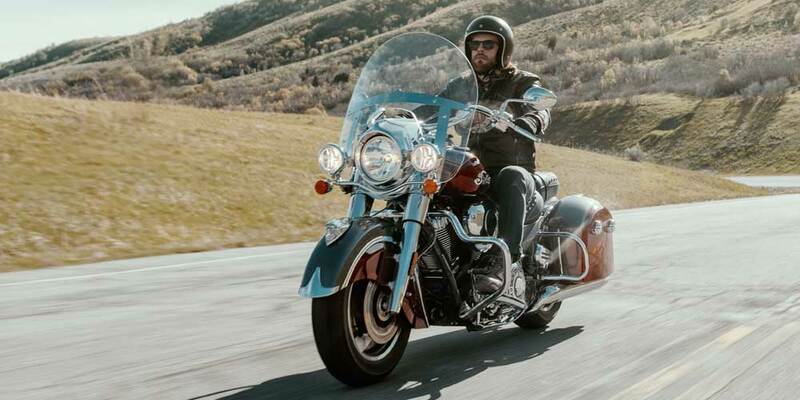 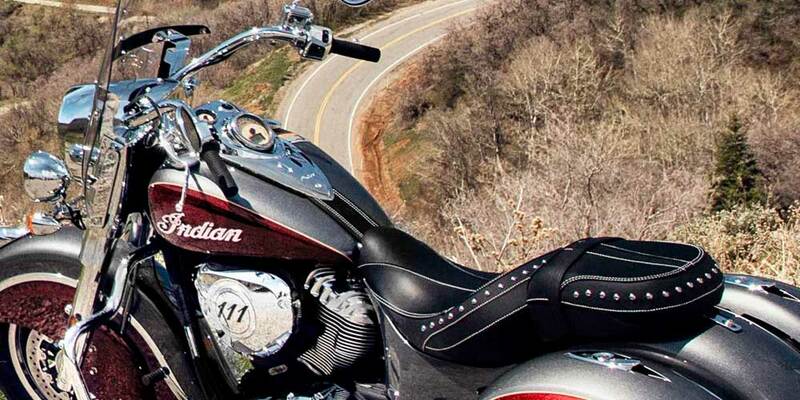 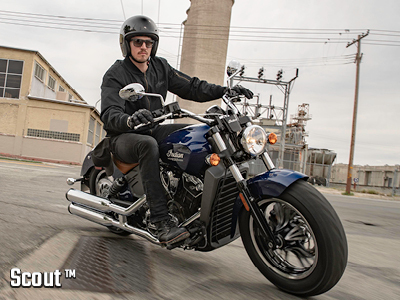 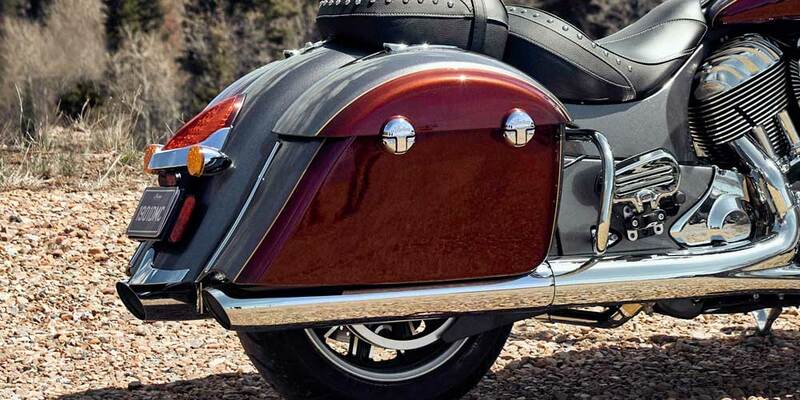 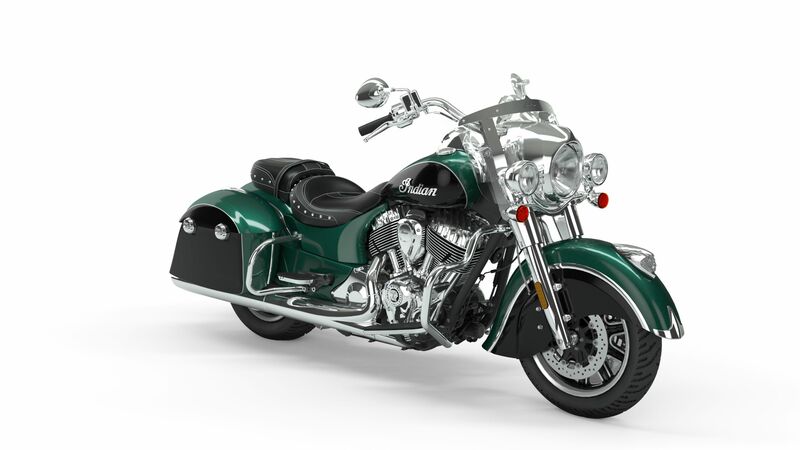 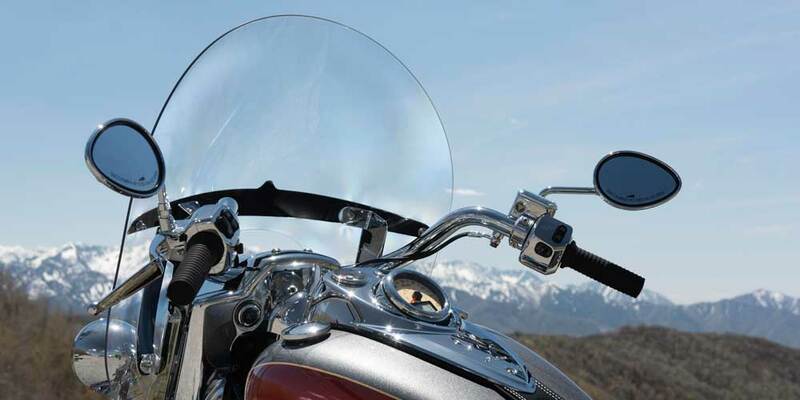 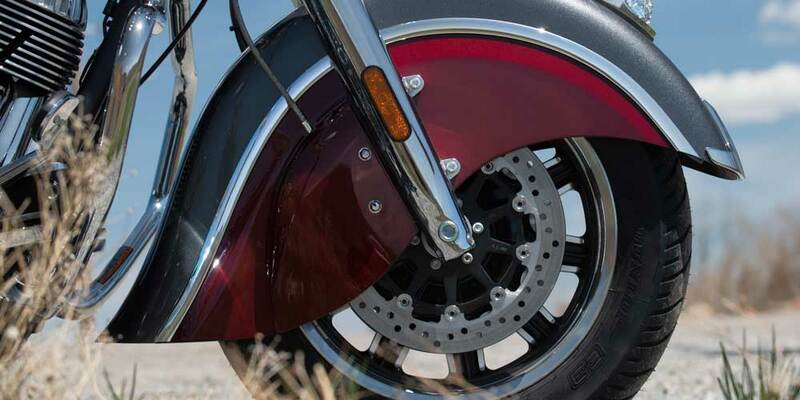 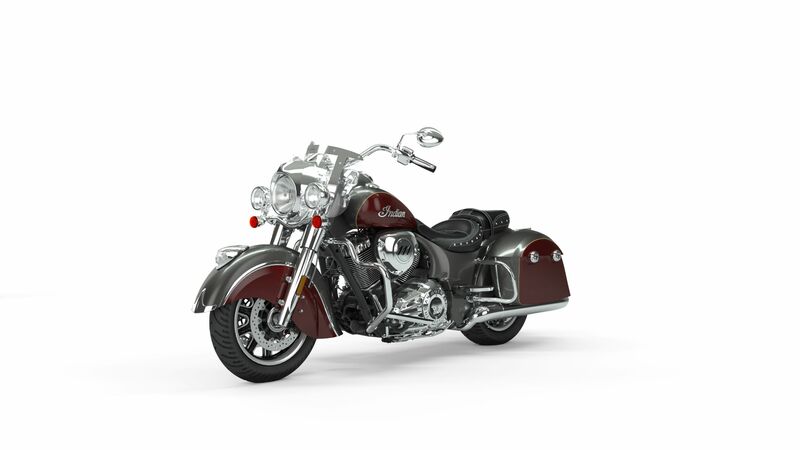 In addition to getting Ride Modes and Rear Cylinder Deactivation, Indian Springfield® maintains rider-favorite features such as the quick release windshield, genuine leather seats, remote-locking saddlebags and adjustable passenger floorboards. 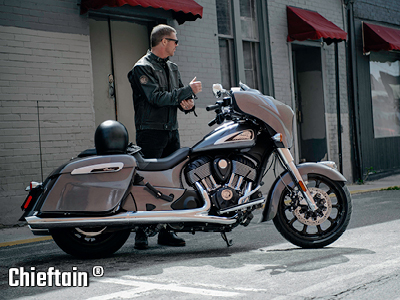 ABS, cruise control, keyless ignition and tire pressure monitoring also come standard. 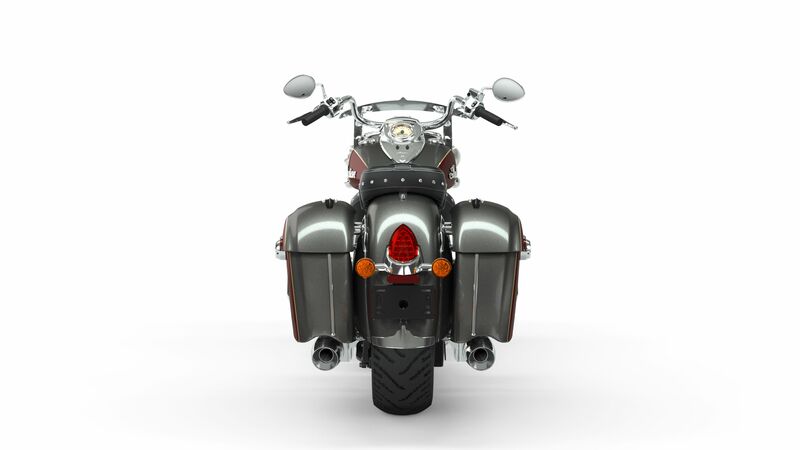 Available in Thunder Black, Steel Grey over Burgundy Metallic and Metallic Jade over Thunder Black. 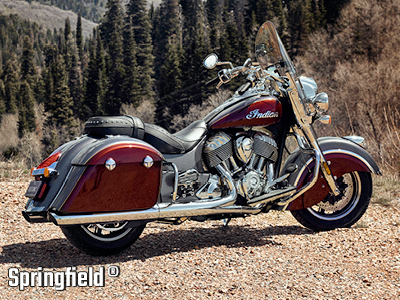 With its lightweight cast aluminium frame and touring architecture, the Springfield delivers exceptional handling.